If you're battery dies then you might find yourself searching for 24 hr emergency road service near me. Stepping into your vehicle, turning the key and getting no response can immediately have you stressful over the possible culprit. Whether you have accidentally left lights on, on your battery has aged to the point where it no longer holds the charge it was once capable of, finding a resolution to your issue is first and foremost in your mind. When looking for assistance, it can be hard to find an equipped passer-by, yet Buffalo Towing Company is always on the road and ready to bring results. One of the most common causes of finding your battery out of power at the end of the day is accidentally leaving either headlights or interior lights on. Without an automatic turn-off feature in your vehicle, this power draw will inevitably lead to a dead battery on your hands and an inability to get moving once more when you step back inside your vehicle. When looking for fast and reliable response to bring a better end to this issue, making the call to Buffalo Towing Company will provide you with the results you’re looking for. Turning to another motorist for a boost can sometimes provide you with the assistance you need yet depending on another to have the necessary cables can find you without resolution. When making the call to the professionals at Buffalo Towing Company, you can be sure that each of our tow trucks come fully equipped with the jumper cables needed and the capability to quickly provide you with the boost needed to start up and get your vehicle back home. 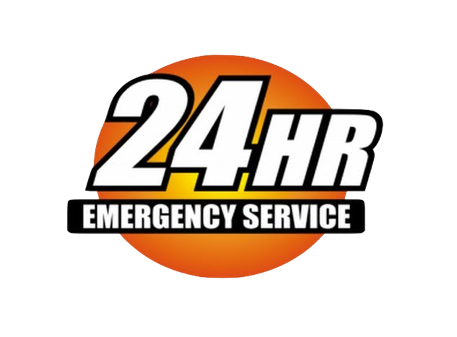 No matter the location or the time of day, you can depend on our experts for an immediate response to your needs. Our Buffalo Vehicle Towing Company has experts stationed around the city at all times in order to ensure that we can provide you with immediate response no matter where you happen to be. Our team can even offer you a special Buffalo fuel delivery service if you need it. From parking lots in the area, to the outskirts of the city, when you make the choice to pick up the phone and call into the offices of Buffalo Towing Company for assistance, you can depend on quick response and the results you need on their way in a hurry. Whatever the time of day, you will soon find yourself on the line with an expert ready to dispatch the nearest truck. Our emergency roadside towing service company is available throughout the city and throughout the day in order to ensure that you have the capability to bring a swift end to any roadside assistance issues you find yourself facing. Whether your vehicle is at home and in need of power, or you are a visitor to the Buffalo area and looking for help, making the choice to reach out to our professionals for your needs will ensure that you get quality results in haste. When you need to get your vehicle on the move once again, you can trust in our experts.